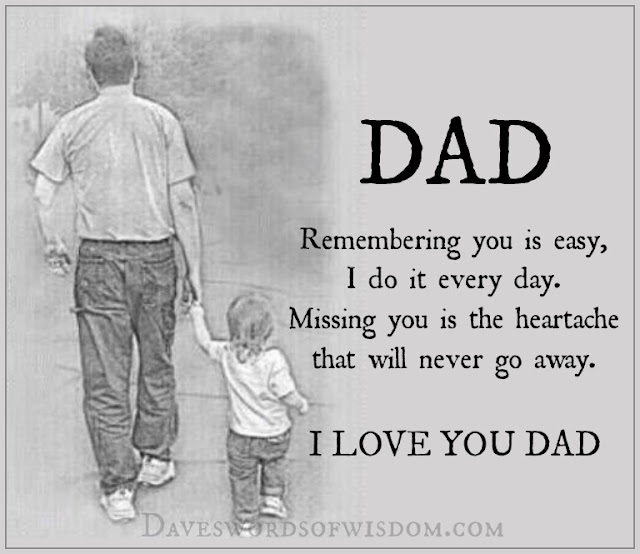 DAD - Remembering you is easy, I do it every day. Remembering Cedric Tyrone Anderson, the best dad & Gpops in the whole wide world! I MISS YOU DADDY BUT ONE DAY WE WILL SEE EACH OTHER AGAIN. I wish you were here with us apa. I miss you joking with the grandkids. I miss your stories, our talks, and Dodger games. Love TERRY D HOOVER MAY HE RIP LOVE MY DAD SO MUCH. EE"Bish"Riggs. Love you daddy. Miss you every day. Dad you are missed dearly, but we vould not wish you back the way you were. You arr young again and full of life! Miss you every day,Dad. Our Tuesday golf days will never be the same. I go alone alot and grin at the memories. Lobe you, Daddy. Words can't define how i miss you. Love u Dad..
Post from Jan 6, 2019 should be deleted. Has nothing to do with losing a father and shouldn't have been allowed to be posted in the first place. It's disrespectful to this space for which is intended and disrespectful to those mourning their fathers. Missing my dad Carl Quesenberry everyday.